So lets take a quick overview of what we have looked at this week. Offline searching , by visiting Estate agents still has its place and is a good starting point to enable you to see what is out there. Often Estate agents can take weeks before updating properrty web sites so it could be the hotest property in your desired location never makes it on line before an offer is accepted. When it comes to searches on-line the question of how good is Rightmove compared to the other came back with a clear answer – it’s still the best out there for results. With the Draw-a-area technology and 90% of the market listed, it’s still way above the competition. We then discovered Zoopla as a great compliment to Rightmove. Zoopla is fresh, vibrant and has the cheeky TemptMe! as an additional way of finding a potential deal online. But it lacks a few things too as was outlined yesterday. 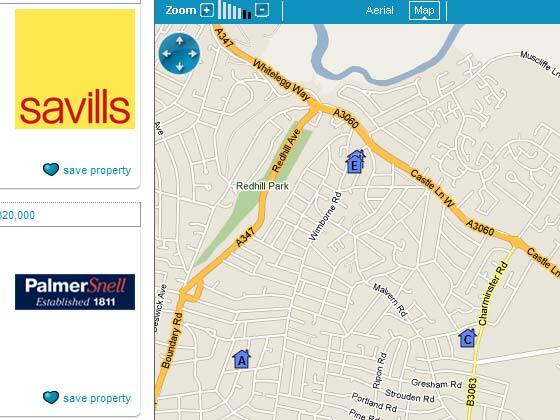 Finally we ruled out Findaproperty for its poor usability and lack of map view, but how about Prime Location? Part 5 – Prime Location – any good? I did like the personnel touch of being able to add my own notes on a property if i was a registered user, so though i wasnt a fan of the pushing to register attitude, it was a useful addition. Wanting to view property detail, it brought up a registration page, true there was a small link to skip the registration and still view the property, but this felt like desperate measures to get your details. I hadn’t felt this when casually viewing Zoopla and Rightmove. We hope you enjoyed the series of articles – i’m sure you won’t agree with all our comments. It may be we missed something or even experienced a poor connection. This is a review site which wants your comments too, so feel free to voice your views below. Rightmove covers most areas when searching for property but when we carry out our due diligence for property prices in a local area Zoopla has a market overview which is helpful. We sometimes question were they manage to get their individual valuations from though,some are way out!